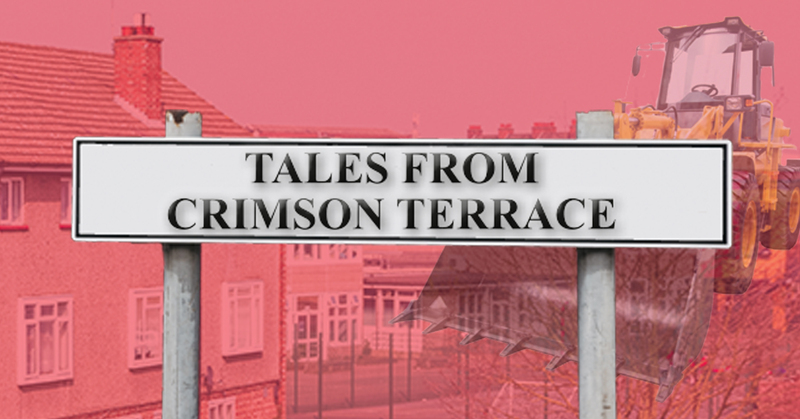 Times are changing for the young people and families of Crimson Terrace. As the bulldozers move in, the residents look back, reflect and share the history of their lives in a much loved street. Come and join us as we rummage through the attics to see what (and who) we can find! Pull back the curtains, peer through the windows and take a peek into family life at Crimson Terrace.